The Test Registration / Donor pass will be e-mailed to you, take this form with you to the testing center. The Test Registration / Donor pass may also be provided by smartphone at the testing center. The Zip Code you enter will be used to locate the closest testing center to you. No appointment is necessary, however a test registration is required. Testing centers do not accept any form of payment, payment must be received at time of registration. Please note the test registration email may be in your Spam or Junk folder. *All information is confidential and secure. What Type Of Test or Service Would You Like To Schedule / Order? Due to State and Federal laws, background checks cannot be ordered online. Please call (800) 219-7161 to conduct a background check. Searches include Entry level $19.99, Standard Level $24.99, Executive Level $99.99. Health Screenings USA can develop your company’s written drug and alcohol policy for DOT and NON-DOT testing including certification as a drug free workplace. Certain information is required to customize an employer’s drug and alcohol policy, please call (800) 219-7161. Would you like this to be an observed test ? Health Screenings USA Inc. provides secure and safe processing of your order. * Issued test registration passes are non-refundable, tests may be rescheduled, donor passes are valid for 30 days. Health Screening USA provides secure and safe processing of your order using Authorize.net Secure Checkout. Health Screenings USA is one of the Nation’s leading providers of drug testing, alcohol testing, DNA testing and occupational health testing for employers and individuals in need of a testing solution. Screening groups include a 5 panel, 10 panel and 12 panel test and available testing specimens can include Urine, Hair, Blood and Oral saliva. Customized screenings are available for expanded opiates, bath salts and synthetic marijuana. Our testing services are delivered with the highest customer focused dedication and we are committed to providing convenient, cost effective and confidential services with one of the fastest results reporting methods in the industry and Medical Review Officer (MRO) verification. Our drug and alcohol testing services are utilized for pre-employment, random, reasonable suspicion, post-accident, court ordered and other requirements which an employer or individual may need. 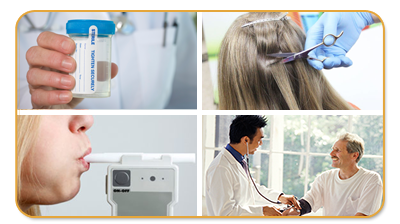 Health Screening USA specializes in providing small to medium companies with the tools to hire qualified applicants and our background screening services can be utilized in conjunction with our drug and occupational health testing. With over 5000 drug testing centers and affiliated collection sites throughout the Nation, which are in most cases within minutes of your home or office and offering same day service, Health Screenings USA is your “One Stop Shopping Source” for all of your employment screening needs. Regardless if you are an individual ordering one test or an employer scheduling 100 tests, our commitment to providing outstanding customer service is the same. When you need a drug, alcohol or occupational health testing provider, knowledge, professionalism and confidentiality is a must when dealing with employment related business practices. You need a partner in this important responsibility and one you can call upon to solve your employment screening challenges. Health Screenings USA is that partner! Whether you are an employer needing a Department of Transportation (DOT) drug or alcohol test or a non-regulated employer simply wishing to implement a Drug Free Workplace Program, Health Screenings USA has a wide range of testing solutions and services to meet your needs on a day to day basis. Our laboratories are SAMHSA Certified and are in-house Medical Review Officers are licensed physicians who verify all test results in accordance with government regulations and industry standards. In addition, our drug testing collection site staff are trained and certified in DOT and NON-DOT regulated drug testing procedures including all chain of custody requirements. If you are an individual in need of a drug, alcohol or any other type of test, Health Screenings USA is the right choice for you. If you need a test for your job, court ordered probation or school program, Health Screenings USA has the testing solution that’s right for you. As a member of the Drug and Alcohol Testing Industry Association (DATIA) and the Substance Abuse Professionals Administrators Association (SAPAA), Health Screenings USA is committed to meeting the highest standards available in the drug and health occupational screening industries and customer service is our #1 priority. Tim O. General Contractor’s Inc.